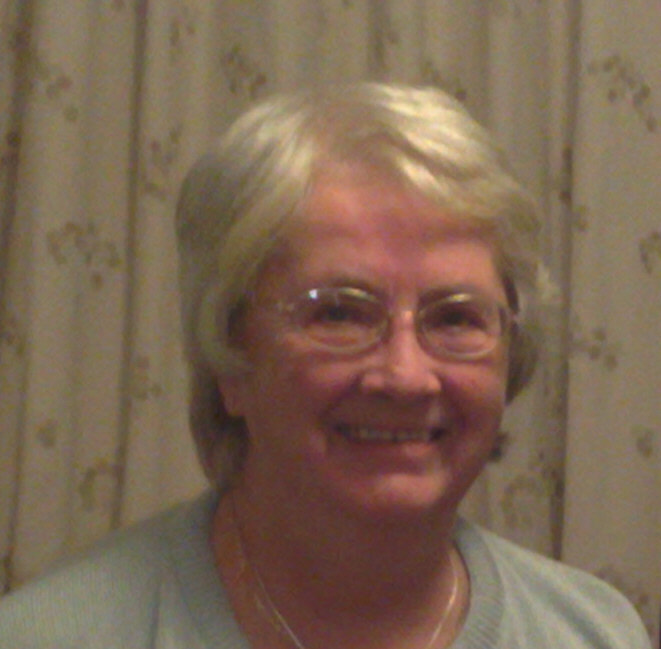 Neve Dalton loves her job as a tour guide on a River Nile cruise ship as much as she values her independence. She isn’t ready to settle down with her Egyptian boyfriend, despite his repeated proposals and his father’s desire to see him married. Nor is she ready to meet Ross McAllister, a compelling and fascinating archaeologist.She struggles against her growing attraction to him until she can no longer ignore what her heart is telling her. This is the man who sets her soul on fire. When she starts receiving cryptic messages, and Ross’s work in the famous Valley of the Kings is threatened, Neve has to make a heart-breaking and life-changing decision which she feels is her only option. Can they discover whose enmity is forcing them apart before it’s too late? Paula: I’ve written stories ever since I learnt to write, and wrote my first full-length novel when I was about twelve. It was all about a group of 10-12 year olds who had ponies, and went to ballet and acting lessons - all the things I longed for but never had the opportunity, so it was very much wishful thinking on my part! The same could be said for the romance stories I went on to write in my teens, and in fact my first published book, when I was twenty-five, was a full-length development of one of those teenage stories. Paula: I’m sure this will make a lot of people very jealous, but the very first romance novel I wrote was accepted by the first publisher I sent it to i.e. Mills and Boon. In those days (i.e. back in the good old 1960s) it had to be typed out and then parcelled up and mailed. I fully expected it to come back by return of post! But about a month later I had a letter, signed by THE Alan Boon himself, saying he liked my story, and if I was prepared to make a few minor changes, he would consider it for publication. IF I was prepared?? I sat straight down and made those changes, and then had to type the whole manuscript out again to re-submit it. Two weeks later, I got the acceptance, together with a contract for two more novels. I wrote three novels for Mills and Boon, and one for Robert Hale, but then real life got in the way with my family and my teaching career. I came back to writing romances about 5 years ago, and have had five more books published since June 2011. Paula: Ideas come from many different places. ‘Her Only Option’ was first conceived when I was on a Nile cruise two years ago and idly started to wonder if it would be possible to vault the rails from the sundeck of one cruise ship to another when they were moored alongside each other at Aswan. Another of my current ‘works in progress’ was partly inspired when I was in a village in Ireland where part of ‘The Quiet Man’ was filmed (starring John Wayne and Maureen O’Hara). In the small cottage museum about the film, I saw Maureen O’Hara’s name in the visitors’ book and was told she often visited when she was in Ireland. My other work in progress was inspired by a newspaper article about an apartment in Paris, abandoned since 1939, which turned out to have quite a history about the previous owner. You simply never know when something you see or hear might strike the right chord in your mind, but when it does, you know you could develop or adapt it as part of a story. Paula: I’m very much a ‘pantser’. I tend to begin with the hero and heroine and a ‘situation’ that brings them together, or into conflict. I have a vague idea about how I think it will end, but I let the characters run with the middle of the story. Sometimes I have to haul them back, but most times they know their story better than I do, and other characters make their way into the story that I hadn’t even thought about when I started the story. 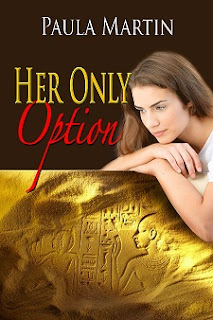 One example of this was in ‘Her Only Option’ which is set in Egypt. The two main characters cross the Nile with a boatman who sings Elvis songs. I have no idea where he came from, he simply ‘appeared’ as I wrote the story, but I liked him so much, I gave him a bigger role to play later in the story. Or maybe he appeared because he knew he had a bigger role to play? Paula: I love the way my characters come to life as I write the first draft. To begin with, they’re simply names, and maybe I know their hair and eye colour, and their occupations, but fairly soon they develop their own personalities and I get to know them better. By the time I’m about half way through they’ve definitely become ‘real’ to me – and that’s when they can surprise me by saying or doing something I hadn’t thought of. Deirdra: Can you tell us a little about your book, Her Only Option? Paula: While I was on my Nile cruise, I started thinking about the characters. The heroine would be a cruise ship tour guide, and the hero an archaeologist working in the Valley of the Kings. I had no idea when I wrote the first scene with these two meeting each other that it would develop into a story with mystery and intrigue as well as romance. Deirdra: What is the best compliment you could receive from a reader? Paula: I’m working on a contemporary romance set in Ireland. I’ve been there several times in the last few years, and fallen in love so many different parts of the island, especially Connemara in the west. I decided to have my hero and heroine meeting when they jointly inherit a house on the west coast of Ireland from someone neither of them has ever heard of. It’s a ‘story within a story’ as the two characters try to solve the mystery of the unknown benefactress and why they are both considered as ‘family.’ They gradually work out the links to the past by exploring their family histories, and they discover a past love story, as well as (initially) battling against their mutual attraction to each other. The lovers in the past were destined not to have a ‘happy ending’ – and it seems the same thing will happen to their two descendants – or will it? Paula: Thank you so much for having me as your guest, Deirdra. Readers can find me at my blog http://paulamartinpotpourri.blogspot.com, my website http://paulamartinromances.webs.com or on my Amazon page http://amzn.to/Y0HowL where you can find all my romance novels. Thanks for dropping in, Glynis - much appreciated! I didn't know about your early Mills and Boon success but am rather glad you've branched out from the more formulaic style to entertain us with your great and diverse stories of today. I love the premise for the Irish story and will be looking out for that. When is it due and do you have a title yet? Great interview, Paula, many interesting facts as well as a dip into a smashing read. Hi Paula, I haven't been around much this weekend, so I'm just getting to this now. Love the story and can't wait to read it! Thanks K-Trina, I think you are my biggest fan :-) I really appreciate your support. Great interview, Paula and no, I'm not too jealous, my first book made it too, but was a little slower than yours, probably by about 6 years. Her Only Option sounds great. Thanks, Anne, and oongrats on your first-timer! Hi, Paula--you've done so well using the places you've visited as locations for you novels--very international and appealing. I've also travled a lot, but never thought to set a story in any of the places. Reviews can make or break us, we are such fragile creatures. To get wonderful statement such as you describe is pretty much what we live for! I agree, you do write wonderful stories. This is my first visit to this blog--it's wonderful, isn't it? I find it interesting that some places or incidents 'inspire' me, while others don't, Celia. Not sure why that happens, but some things simply strike a chord in your mind that you can't forget. Agree about reviews, and I'm so grateful that I've had some wonderful reviews. in the last few days, I've heard of or from three different readers who 'couldn't put the book down.' It really is the kind of reaction that makes it all worthwhile, isn't it? Lovely, interesting interview on a lovely, interesting blog. I shall have to dip into your books, Paula. And I shall visit your blog again, Deirdra. Her Only Option sounds like a very interesting story. I like that you visited the Nile so the story will have the benefit of your life experience in it. Ummm, an Egyptian boyfriend sounds mighty fine. I loved reading about your writing process, Paula. Great interview. Interview with the Lovely and Elegant Anna del C.